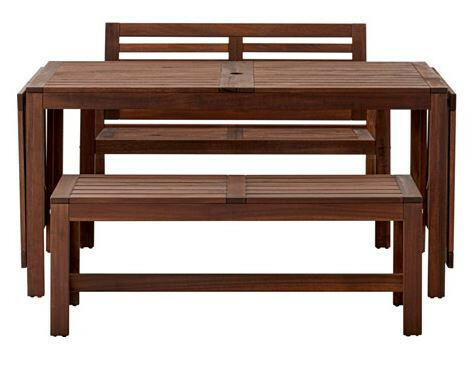 a beautiful dining set for outside. 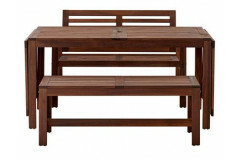 this beautiful brown stained outdoor dining set will look perfect in any backyard. it has drop-leaves that can be folded and removed and has a hole in for an umbrella if you and your guests need extra shade.